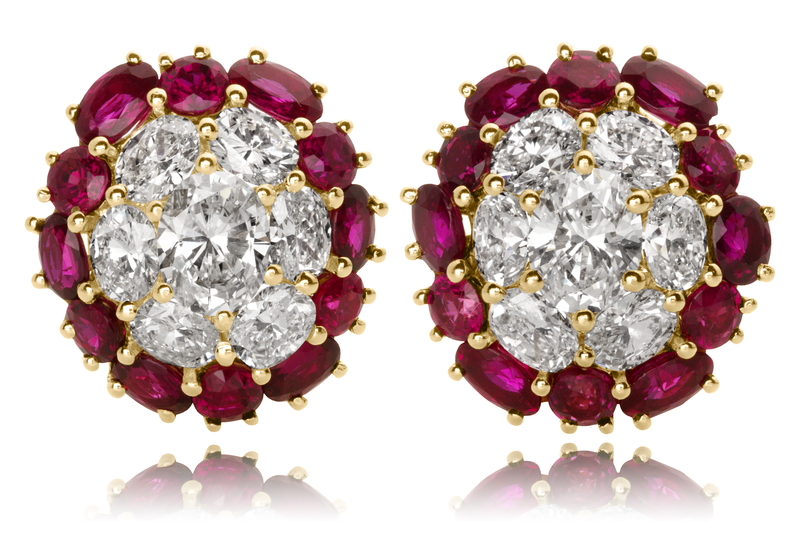 Diamond and Ruby earrings set in 18KT white and yellow gold. 14 round and oval diamonds for a total diamond weight of 4.94cts. and 24 round and oval diamonds for a total ruby weight of 7.35cts.